What a week that was! 4440km later, and after countless hours of driving, I was sitting comfortably in my home, having kissed my baby and realised that I was glad to be back in the comfort of my space, where everything was familiar. When friends asked how the trip was, I became aware that I was conflicted: there had been good times and trying times. Road tripping through five African countries in one week had never been in my plans, mostly because I feared the unknown. However, I gave into peer pressure on one hand, and my curiosity on the other. You see, my partner, Ndivhuho Munyai, loves Botswana so much that he keeps going back, and somehow these trips were always without me. I had even begun to suspect that he had another family in Botswana − so, when the plans were formed this time, I decided to trek along. 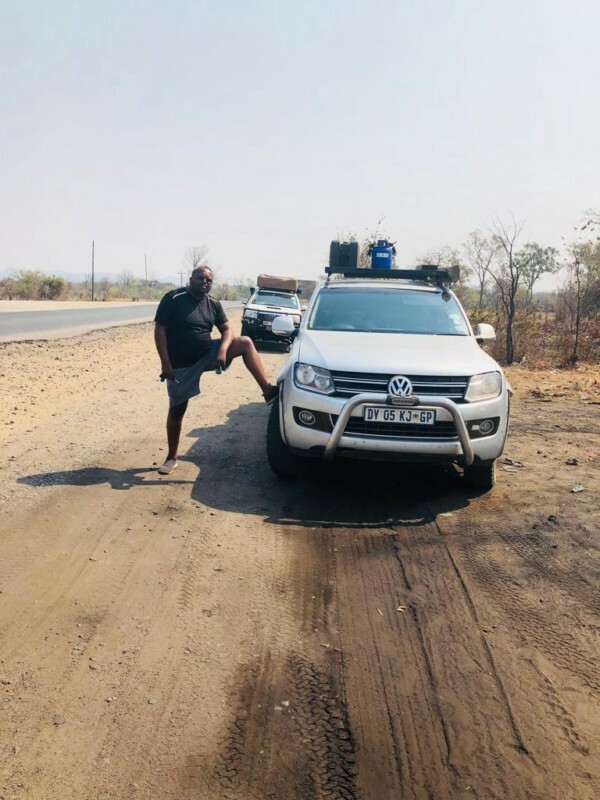 On September 22, we packed our bags and hit the road in our Hilux, along with our avid adventure friends Gumani and Andani Makhado, who drive a 4Motion Amarok. These people are well-travelled. Europe, America, Africa – you name it, they have set foot there. They backpacked and hitch-hiked through most of Africa, FOR FUN. In this company, I was the novice on all counts. I had travelled a bit of Europe, on guided tours. My sister had made the arrangements; all I’d done was show up, have fun, and return home after having enjoyed great hotels, great food and amazing scenery. 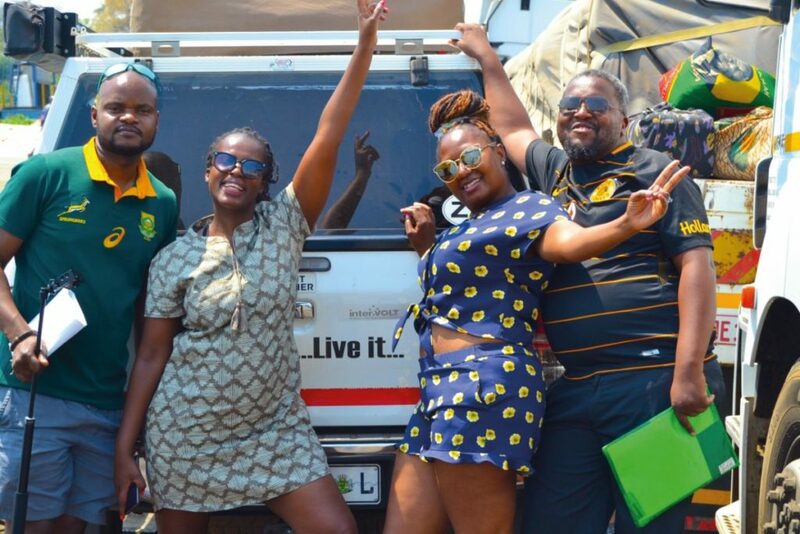 The travel crew, from left: Ndivhuho Munyai, Tendani Tshidavhu, with Gumani and Andani Makhado. This was a different ball-game altogether. The plan was to go to Botswana, travel to Zambia, shoot straight to Malawi, then head back through Mozambique, before re-entering South Africa via Zimbabwe. There was to be NO hotel booking, NO guided tour − just a map and a whole lot of faith. It was ‘all systems go’. This trip was also going to be so long that I knew everything would be tested: tempers, patience, relationships, and, most of all, the strength of our 2013 Toyota Hilux 4×4 and the Amarok. 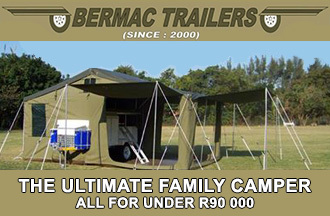 Of course, our vehicles were fully loaded with all the necessary camping gear, and with more supplies than could be imagined. We entered Botswana via the Platjan border post, which is near Vivo in the northern part of Limpopo in South Africa. 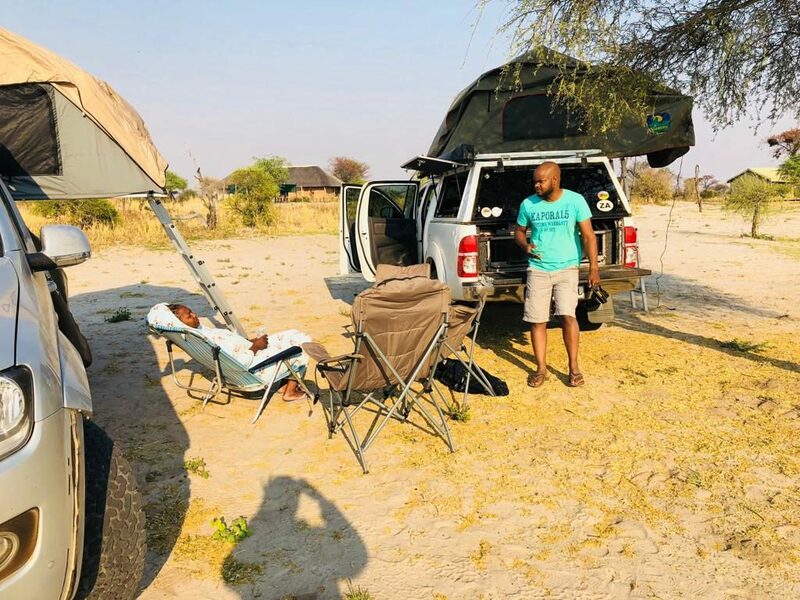 It was an incident-free entry, and started our journey towards Nata in the Central District of Botswana, where we planned to put up in Elephant Sands Lodge. Our drive helped me understand why my partner loved Botswana so much: great landscapes, and quiet roads… all giving one an opportunity to enjoy the beautiful scenery and the wide-open spaces. When we entered Elephant Sands, I was sold. I was in African heaven. We were greeted by elephants: one could literally touch them as they came to drink at the waterhole next to the bar. The sky was beautiful. We set up camp, drank a cold one, enjoyed the cool evening, and retired soon after that. We woke up to a great sunny morning and took a dip in the pool, before driving some 220km to Kasane town. On the way, we passed villages like Pandamatenga, where farms stretch as far as the eye can see. One thing I did realise is that a trip like this requires good company and great conversation, as the drives are long. Our next stop was Chobe Safari Lodge, where we first booked a boat-ride to experience Chobe, then set up camp in what proved to be another paradise. We were led through an unassuming gate, behind which we found a small yellow building with no paving and very limited maintenance. Little did we know that beyond that unpaved walkway lay a gem of nature. Here we found monkeys, crocodiles, majestic elephants, and more game than I had ever seen before. I felt like I was in a National Geographic episode, at one with nature – so close, yet far enough away to feel safe. This should be on every serious game-viewer’s bucket list! I would also rate Chobe Safari Lodge high for having the cleanest showers I’ve ever seen in a campsite. 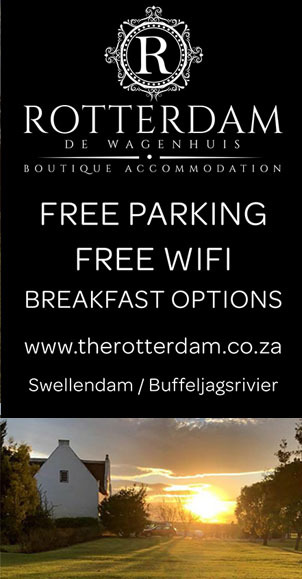 It’s a great stopover if you intend to travel to other neighbouring countries, as it’s close to where the borders of Botswana, Zimbabwe, Namibia and Zambia meet. On September 24, we left Chobe and exited Botswana to enter Zambia through the Kazungula Border post, which is about 20km from Chobe town. Exiting Botswana was smooth. We used the ferry to cross over the Zambezi River, but entering Zambia was a whole new adventure. Having spent over three hours trying to get through the border formalities, I decided to throw caution to the winds, fully immerse myself in the adventure, and roll with whatever came. 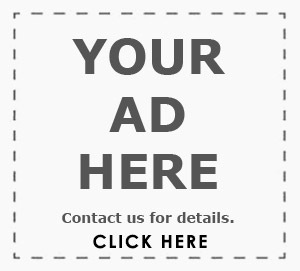 There are runners who act like officials, and officials who, in turn, seem to acknowledge these runners in the common interest of making a quick buck. We moved from one office to another, in the scorching heat, paying for this and that. In one office, we were welcomed by a soldier with an AK-47 casually placed on his lap while he played Candy Crush on his phone. This was a culture shock. 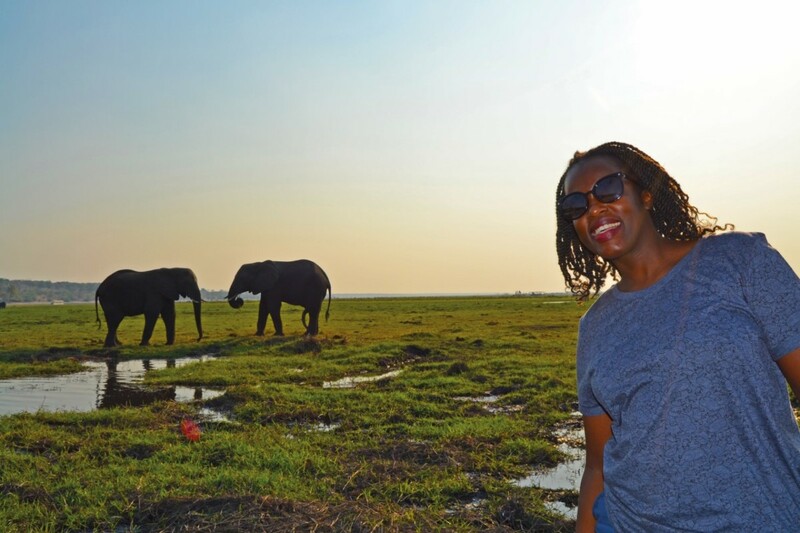 I’m South African born and bred, and had stayed in Botswana for two days, but for the first time I was in Africa – the Africa I had read about and seen on news clips. I was scared, excited… experiencing every emotion all at once. Our destination, Salima on Lake Malawi, was still days away. As we made our way there, using the one main road in Zambia, we stopped to take in an important sight: the breath-taking Victoria Falls (Mosi-oa-Tunya) on the boundary of the city of Livingstone. The Zambians call their street food version of dried rat Mbewa. The highlight was seeing the Zambian street food, including their version of biltong. 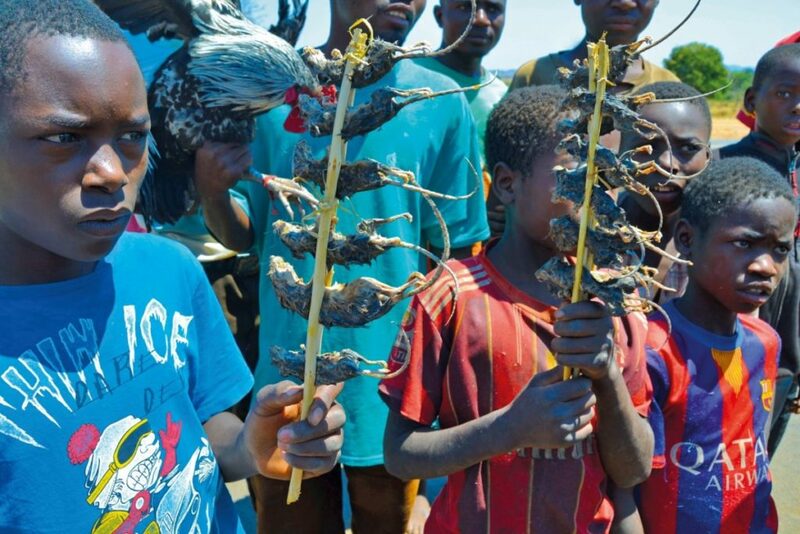 People were selling dried “Mbewa” which I quickly recognised as “Mbevha”, meaning ‘rat’ in my Tshivenda language.” Four Mbewas were stacked on one skewer: black fur, tails, eyes, the works − ready to eat. It was… interesting. 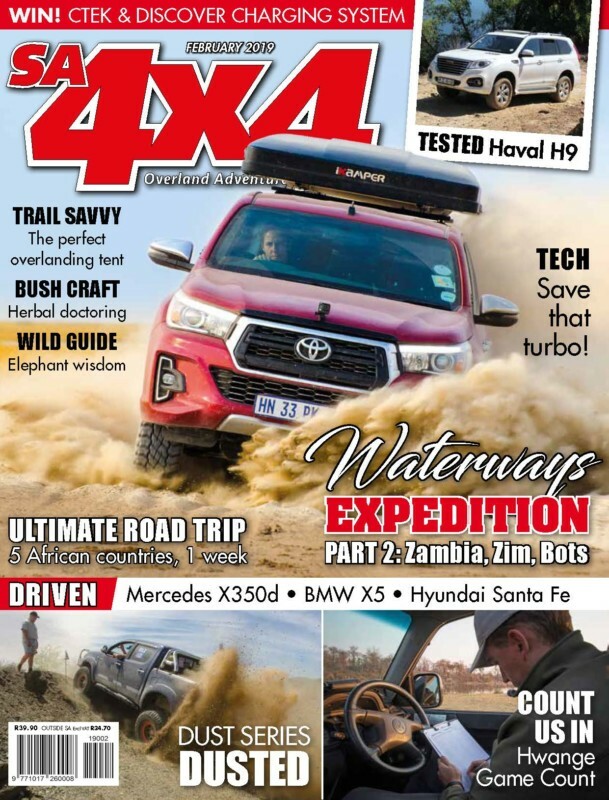 For the rest of Tendani’s adventure, grab a copy of the February SA4x4 Magazine before they’re all gone!